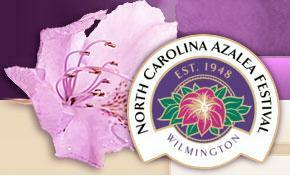 This weekend, April 8-12, 2015, is the 68th Annual North Carolina Azalea Festival in Wilmington, NC, New Hanover County. The Festival is an annual celebration of Wilmington’s gardens and culture. The festival covers five days of entertainment which includes: a parade, street fair, circus, concerts, pageantry, and all that is Southern. Beginning in 1948, the Festival has blossomed into an extended weekend celebration that attracts more than 250,000 people annually to the region including and surrounding New Hanover County, NC. This year the festival includes a concert by Nelly! Since entering the spotlight in 2000 with his hit album, County Grammar, Nelly has left an enormous mark on the music industry as a multi-platinum, Grammy Award-winning rap superstar, entrepreneur, philanthropist, and actor. He has been the recipient of multiple American Music Awards, a Nickelodeon Kids’ Choice Award, Soul Train Music Awards, and MTV Video Music Awards. In 2009, he took on a recurring role in CSI: NY, and has more recently joined the cast of the BET sitcom The Real Husbands of Hollywood. His philanthropic work includes the launch of the Jes Us 4 Jackie Foundation in 2003, which aimed to educate and spread awareness about the need for bone marrow and stem cell transplant donations. His foundation was co-launched by his sister, Jackie Donahue, who sadly passed away from leukemia in 2005. Nelly continues to use his influence to spread awareness about bone marrow and stem cell transplant donations, and has been credited with hosting the largest African American bone marrow drive to date. Nelly takes the Miller Lite Main Stage at 7:00 pm on Friday, April 10th. While the Azalea Festival is a fun family friendly event, drinking alcohol is part of many of the events, and in the revelry many people will be charged with alcohol related crimes including open container, driving while impaired or driving under the influence (DWI/DUI), fake i.d. or counterfeit identification, underage drinking, and aiding and abetting these and other crimes. Following 2011’s Azalea Festival, it was reported that the Alcohol Law Enforcement (ALE) cited or arrested 216 people over the course of the festival’s weekend. In total, their agents filed 308 charges, including 107 charges of underage possession of alcohol, 15 charges of using a fake ID, and 15 charges of possession of marijuana. Two businesses were cited for alcohol incidents in which minors were involved. Then, in 2012, Highway patrol, with the assistance of various checkpoints in and around Wilmington, made over 100 DWI arrests during Azalea Festival Weekend. This year’s festival will also feature a heavy presence of law enforcement officials. The City of Wilmington has agreed to provide a minimum of 35 officers and 50 police vehicles, while the New Hanover County Sherriff’s Office will have about 60 officers present throughout the course of the festival week. Some of the officers and deputies will walk through the event undercover, mostly as part of the vice and narcotics units. It is almost a certainty that Highway Patrol will also be hard at work this weekend, quite possibly with the help of their “Booze It & Lose It” Bus. This special DWI command features multiple breathalyzers and an on-board magistrate, which is ideal for citing violators at the scene. If you are charged with any type traffic charge or crime in our area, call Collins Law Firm at 910-793-9000 for a confidential consultation about what we can do for you. In many cases, we are able to negotiate with the charging officer and the district attorney’s office to have the charges reduced, or even dismissed. Sometimes, volunteer service can be completed as part of the agreement, and can be served on the beach picking up trash, and helping keep our beautiful beaches clean, including Wrightsville Beach, Carolina Beach, Topsail Beach, Wilmington Beach, and Kure Beach.